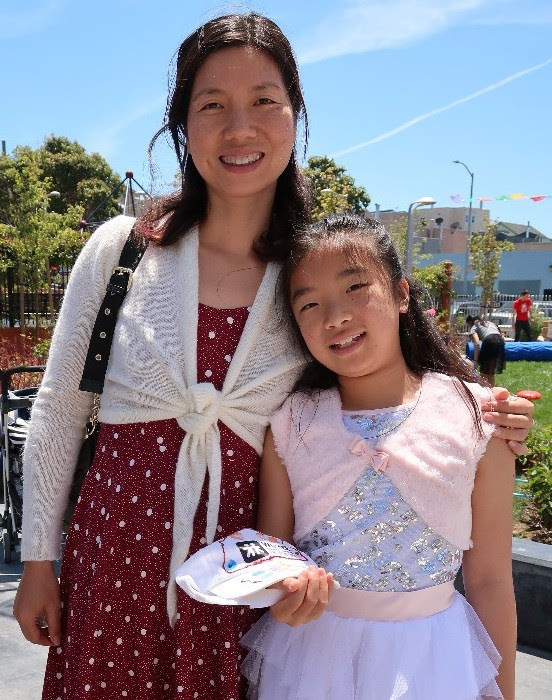 A collaboration of Crystal Reiss (We Media), Saya Iwasaki (Aril Studios), and Wu Yee Children’s Services to inspire connection and community. "It started in the late 70s or in the early 80s. Wu Yee started off very much as a childcare center and also as an advocacy group, for women and children's rights." "If I could just help one child, and that child helps someone else, then the work that you've done has not been done in vain." "May the spirit of love and care continue in the Wu Yee family. May the services continue to thrive and benefit even more families of diverse races and cultures in the years to come. " I'm fighting to make childcare more affordable for working parents so they can continue working and advancing their careers, closing wage gaps that for too long have held women back from the fair economic opportunities they need. "There were real big questions around state and government funding, but we weathered that through donors, through legislators and policymakers... but also really, because the incredible commitment of the staff and team at Wu Yee." "They both have thrived at Wu Yee. I'm just really grateful that I was able to get both my kids there." Diversity in the world is a basic characteristic of human society, and also the key condition for a lively and dynamic world as we see today. I am a third generation San Francisco native and I remember Wu Yee’s invaluable presence in the City since the beginning 40 years ago. I am continually impressed with Wu Yee’s quest to help all children rise. It is a privilege to support Wu Yee. The artists and organization explore history, identity and relationships with family and community. Through the experiences of individuals who have been impacted by the organization since its founding over 40 years ago, the audio history explores how the Immigration Act of 1965 affected the Bay Area’s diverse community, while addressing a historic need for child care among immigrant and working parents who, in many cases, are only able to secure low wage jobs. Finally, our narrative will investigate present day immigrant and minority equity issues, and the ever-growing necessity of early child care and education and family support. Through the artistic process and final product, we hope to inspire community involvement, build coalitions, and combat and dispel stereotypes and false narratives. We aim to be examples to our children as we continue to work towards positive change, retaining our identities while serving as global citizens. "Our Children, Rising" is a collaboration of Crystal Reiss, Saya Iwasaki, and Wu Yee Children’s Services.